The Massachusetts hockey team couldn’t have chosen a better time to be playing its worst hockey of the season. Don’t get me wrong, losing three straight games by a combined score of 15-8 is never a good thing, and in no way should the Minutemen be satisfied with the results. But quite frankly, it doesn’t really matter. 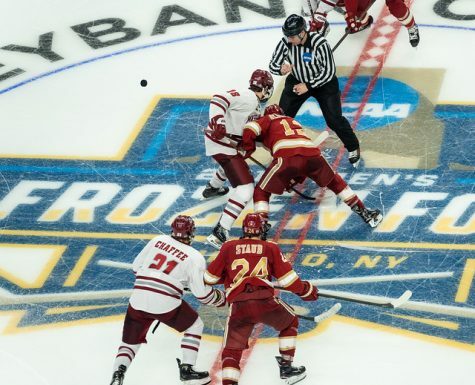 Non-conference games don’t quite have the same significance in college hockey as they do in other major college sports such as basketball and football. This is especially the case for a team like UMass, which has spent the entire season in a struggle to get to .500, meaning it would take an improbable and unlikely run to reach the 16-team NCAA Tournament with an at-large bid anyway. 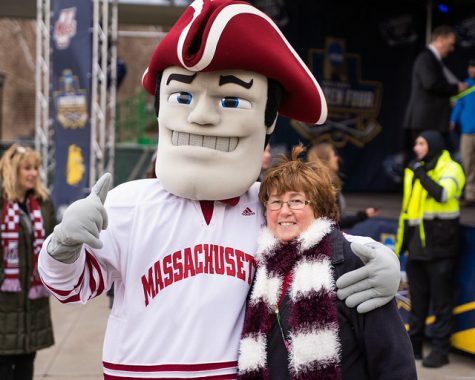 What the Minutemen (5-9-2, 4-6-1 Hockey East Association) should be more concerned with is finding a way to get out of the first round of the Hockey East Tournament, something that hasn’t been done since 2007. And right now, they appear to be in a greater position to do that than they have been in quite a while. 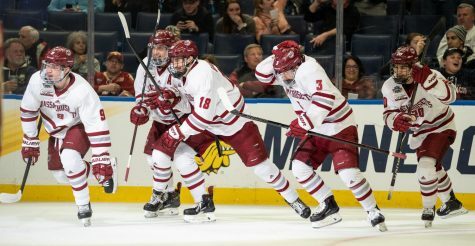 UMass currently sits in a three-way tie with Merrimack and Vermont for fifth in the conference standings at nine points and has played arguably the toughest schedule of any of the three through 11 conference games. The Minutemen have already played the top three teams in the conference – No. 1 Boston College, No. 2 New Hampshire and No. 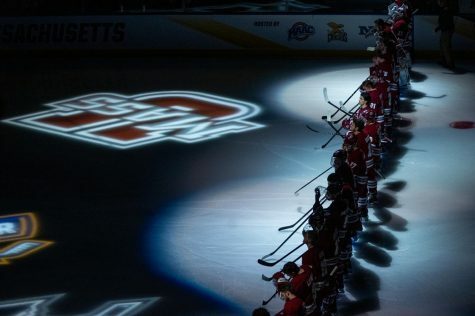 6 Boston University – a combined total of five times, beating the Wildcats at home in overtime while dropping both games to the Eagles and the Terriers. One thing I can say with the utmost certainty is that the UMass team that was out on the ice in this past weekend’s losses to Colgate (twice) and No. 15 Yale is not the same team that’s been challenging some of the top teams in the country through its first 13 games. Everything the Minutemen had done well in those first 13 games were the same things that were non-existent in their last three outings. 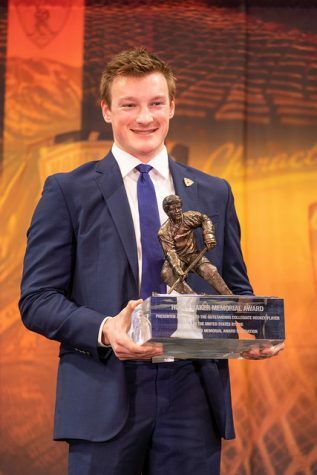 For example, sophomore Kevin Boyle came into the weekend as one of the top goaltenders in the country – sporting a 1.67 goals against average and a .936 save percentage – and came out of it looking like Manny Pacquiao after getting knocked out by Juan Manuel Marquez with his 15 goals allowed in the last three games leaving him with a 2.44 goals against average and a .906 save percentage. Of course, it doesn’t help that he was getting limited support in the defensive zone as opponents were having little trouble making easy passes and creating high quality chances in front of the net. 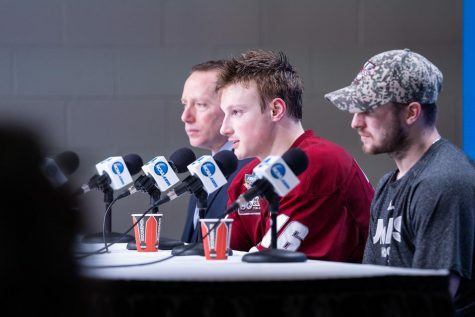 Perhaps the biggest killer for UMass, however, was the sudden disappearance of what was one of the most impressive penalty-killing units in the country, that heading into the weekend was killing 86 percent of man-down situations faced. But after allowing six power play goals in the last three games, that figure has dropped to 79.7 percent. However, the beauty of it all is that the Minutemen’s standing in the conference doesn’t change despite such a poor showing, and those three games are only a small sample size of what has otherwise been a positive start to UMass coach John Micheletto’s first season. In reality, it was hard to envision many positives given the circumstances going into the weekend. 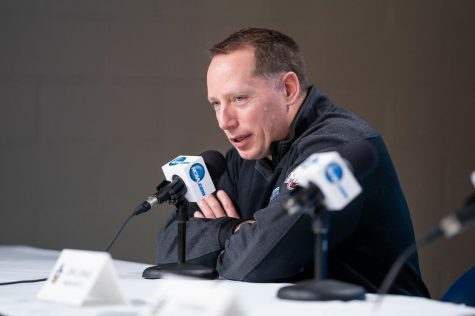 The Minutemen had just finished off a weekend in which they had lost multiple key pieces to injury, most notably junior forward Troy Power, who is out indefinitely with a knee injury. 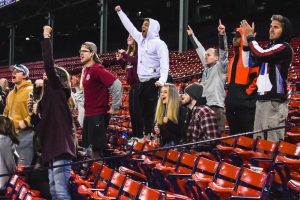 It also doesn’t help having to play three games in five days against teams UMass is unfamiliar with, just days before a two-week break surrounded by the personal distractions faced by the players with the end of the semester approaching. Now the Minutemen have the next two weeks to regroup and retool and become the same team that is currently in the mix for a home series in the Hockey East quarterfinals. 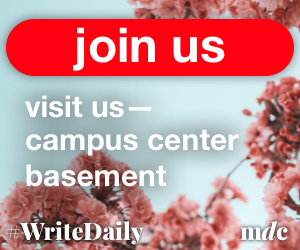 The fact that a chance like that is up for grabs should be enough to feel positive about, especially considering the Mullins Center hasn’t hosted such an event since 2007. 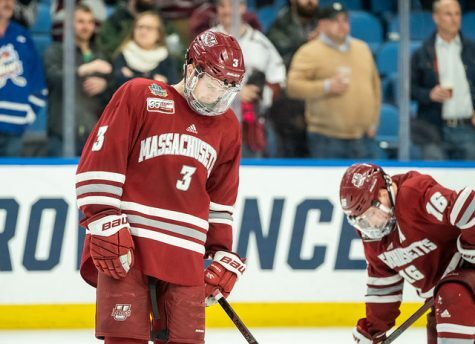 Rather than letting such meaningless losses linger and eat away at UMass during this waiting period, it’s more sensible to focus on the opportunity staring the Minutemen in the face, and take advantage of what seems to be a rare down year in the Hockey East. The schedule plays in the Minutemen’s favor the rest of the way, and they’ve shown throughout the young season that they’re capable of beating any team not named BC or BU. With that in mind, it’s probably best for those UMass hockey fans that are out for their team’s heads to gently take their hand off the panic button, lock it in a safe place and throw away the key because there’s no reason to believe that a three-game losing streak in December is going to lead to the worst come March.